Commercial Financing is underwritten on a case by case basis. Every loan commercial mortgage application is unique and evaluated on its own merits, but there are a few common criteria lenders look for in commercial loan packages. A key component in making an underwriting evaluation is the debt coverage ratio. The DCR is defined as the monthly debt compared to the net monthly income of the investment property in question. Using a DCR of 1:1.10 a lender is saying that they are looking for a $1.10 in net income for each $1.00 mortgage payment. Typically they will determine the DCR ratio based on monthly figures, the monthly mortgage payment compared to the monthly net income. The higher the DCR ratio, the more conservative the lender. Most lenders will never go below a 1:1 ratio ( a dollar of debt payment per dollar of income generated). Anything less then a 1:1 ratio will result in a negative cash flow situation raising the risk of the loan for the lender. DCR's are set by property type and what a lender perceives the risk to be. Today, apartment properties are considered to be the least risky category of investment lending. As such, lenders are more inclined to use smaller DCR's when evaluating a loan request. 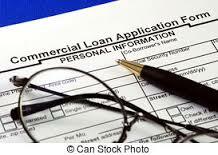 Make sure that you are familiar with a lender's DCR policy prior to spending money on an application. Ask them to give you a preliminary review of the investment property that you want to purchase. Information is free, mistakes are not. Unlike residential lending, commercial investment properties are viewed more conservatively. Most lenders will require a minimum of 20% of the purchase price to be paid by the buyer. The remaining 80% can be in the form of a mortgage provided by either bank or mortgage company. Some commercial mortgage lenders will require more than 20% contribution towards the purchase from the buyer. What a bank/lender will do is subject to their appetite and the quality of the buyer and the property. Loan to value is the percentage calculation of the loan amount divided by purchase price. If you know what a lender's LTV requirements are, you can also calculate the loan amount by multiplying the purchase price by the LTV percentage. Keep in mind that the purchase price must also be supported by an appraisal. In the event that the appraisal shows a value less then the purchase price, the lender will use the lower of the two numbers to determine the loan that will be made.